Being an expat can give you and your family some amazing opportunities to travel and experience many parts of the world. However, with young children, it can sometimes mean constantly changing the community language, and this can be a challenge. I would like to introduce to you Mariam, writer and blogger at ‘And Then We Moved To’. Her multilingual expat family speak a range of languages on a daily basis, and are constantly exposed to new languages every time they move. She has some fantastic tips to help deal with language exposure for other expats on the move. I realized much to my delight that I would savor this moment for years to come. In our quest to raise multilingual children, it appears we have made multilingualism seem the norm. It’s a good (and long!) story with a lot of native languages, a lot of questions, and a lot of doubts and of course a lot of international moves, as an expatriate family. 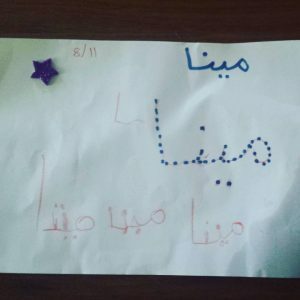 As a family, we have faced a rather unique challenge: how can two native bilingual speakers impart our 4 native languages to our children successfully, while constantly incorporating new languages to the mix, when we move countries? As you can probably tell, it’s not been easy or a straight forward journey. I am originally from Karachi, Pakistan and grew up as an expat child in Bahrain and the United States, before returning to live in Pakistan. When we lived in New York City, our family rule was “Minority language at home” So we spoke Urdu at home, and English outside the home with friends, neighbours, teachers etc. I became bilingual very early on as a result and am equally proficient in both Urdu and English. I can also speak fluent Hindi and German and I have a good working knowledge of Danish (I learned Danish during our expat stint in Denmark) and Italian (due to Italian family) and am able to read Arabic. My husband was born to a German mother and an Italian father and was raised in Germany. He was raised bilingually in Italian and German and is a native speaker of both. His family used the popular One Parent, One Language (OPOL) rule and to this day he speaks Italian with his dad and German with his mom. 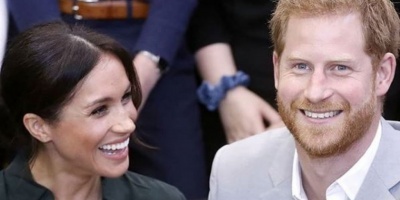 In addition, my husband is also fluent in Spanish, English and French and has a good working knowledge of Afrikaans (he lived in South Africa for some time) and Urdu (through marriage and family). We have two children. Our daughter is almost five years old, and our son is two. Our daughter was made in Denmark, born in Singapore and is growing up in Dubai. Our son was made in Singapore, born in Dubai and is growing up in Dubai, where we currently live. The community languages in Dubai are Arabic (official) and English (unofficial). 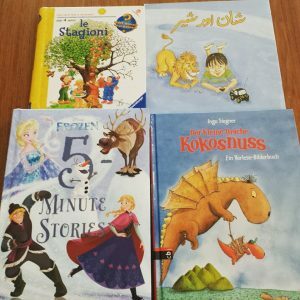 We wanted to impart all 4 of our native languages to our children (German, Urdu, Italian and English.) We struggled a lot with which language model/philosophy to choose. At present we follow OPOL, although we have started tweaking it to suit our family needs. I don’t quite know what to call the resulting language model. Kids talk to each other: Some German, some Urdu, but increasingly more English as a dominant language that their environment speaks in Dubai. As parents: we usually talk predominantly in English. This is because we both met in London when we were living in the UK. But, we also speak a lot of German together, influenced from our time living in Berlin together. Although my husband is very consistent in speaking with our children in German, he does occasionally sing to them in Italian. The kid’s Italian grandfather and Italian family continue to speak and expose them to Italian, but since we all live far away from each other, the kids have a passive knowledge of Italian. I occasionally read books to the kids in my other native language: English. Our kids attend a multilingual nursery/kindergarten in Dubai. Their school languages are English and Arabic. We have had many challenges. From which language model to use, to clarifying what our own language goals were for each child with each language, to dealing with international moves and a new community and school language. 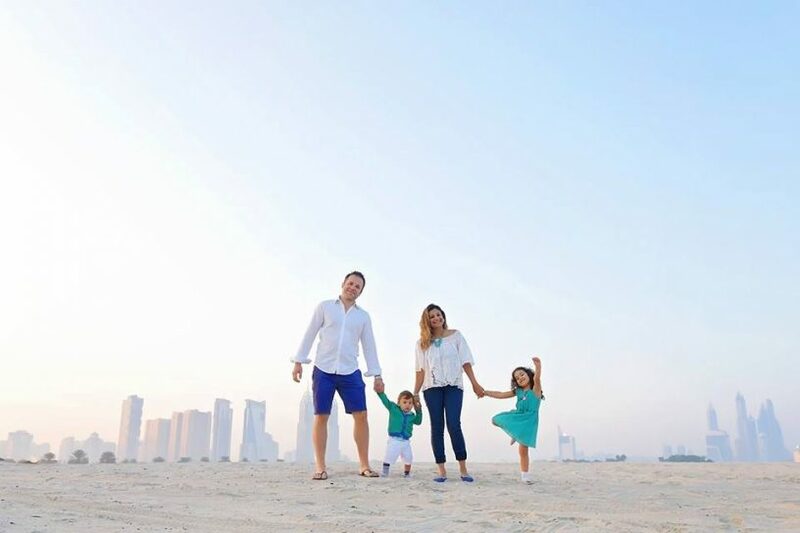 Our toughest challenge came when we moved from Singapore to Dubai in 2014. Our daughter was used to attending kindergarden in Singapore being exposed to English and Mandarin every day. When we moved to Dubai, we needed to find her a kindergarden that would honor and help her multilingual background to develop. I was really nervous, since at the age of 2.5 years old, she barely spoke a few words in English. We enrolled her in a multilingual nursery/kindergarden in Dubai, where the language of instruction was English and Arabic. She accepted this change and was very interested to learn Arabic. The strategy that helped us all in dealing with the change, was to explain to her that even though we had moved countries, nothing changed at home. Our home languages would continue to be German and Urdu. Within a few months, both teachers were telling me they were amazed at the speed with which her English vocabulary was growing! Seeing as English is one of my native languages, I struggled more with the surge in rebellion. I strove hard each day to stay consistent in speaking only in Urdu with her. But having to constantly suppress and repress the “English” side of me started feeling very unnatural and this was when I started questioning if OPOL was the right model for our family. As Pakistanis, we mix and code-switch a lot between English and Urdu (there are many cultural, socio-economic and historical reasons dating back to colonial times) for this. I went through a lot of internal struggle: when she finally turned 4 and the languages were a bit more established in her head, I allowed myself (and herself) the privilege of reading to her a book in English occasionally. I grew up reading tons of books in English and would like to share my childhood favourites with my children, as they get older. My biggest challenge in raising multilingual kids is staying consistent in one language. I do not know if my frequent code-switching between Urdu and English will be harmful for my kids and their language goals in the long run, or beneficial in teaching them truly what being multilingual is all about. It is a subject dear to my heart and one which I am constantly exploring more and looking out for more research. I am often quite envious of my husband who almost never code-switches. He never mixes German with Italian. I think it has to do as much with the languages, the way he was brought up (with OPOL) and with cultural, historical and linguistic differences between European languages and South Asian ones. 1. 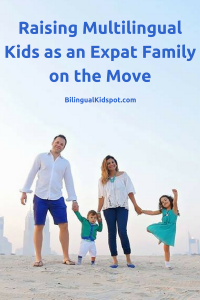 A language change when you move countries can be stressful for children to deal with. Acknowledge what they are going through and help them understand why the change in school languages will be beneficial for them. My daughter loves speaking Arabic now and loved participating in the school celebrations on national day here in the UAE, where my heart swelled with pride to hear her sing the national anthem in flawless Arabic. She also frequently translates for my husband and myself when we travel to other Middle Eastern countries like Jordan, where not everyone speaks English like in Dubai! 2.Children learn languages quickly, but forget them just as quickly if they are not exposed to it. Unfortunately this is very common in globally mobile families and is what has happened to my daughters Mandarin. She can still recognize the language and is drawn to those speaking it, but cannot speak in it any longer. As a family with so many languages in the mix, we think it is unfortunate but have made our peace with it, for the time being. 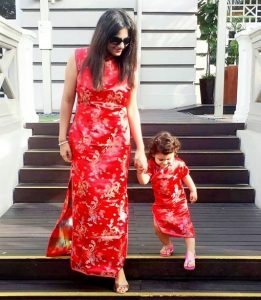 If we continue to live in Dubai for the next few years, we are thinking of enrolling her in an international primary school, which would re-open the possibility of learning Mandarin. 3. Expect and prepare for rebellions, setbacks and confusion! It’s all part and parcel and very normal milestones in a family’s multilingual journey. Discuss with your better half what your strategy will be for dealing with it. You will feel like giving up many times (maybe even several times in 1 day!). In the end, perseverance, perseverance, perseverance is the key. 4.Our linguistic journey has shown me that not all languages are the same or are created equal. What may work for my husband in teaching German, doesn’t always work for me in teaching Urdu. Cultural differences, linguistic heritage and societal expectations all vary. When people in Germany hear that my husband is speaking German with our kids their reaction is always “that’s great! This is how it should be. Of course, you should speak German with your kids and teach them your mother tongue.” They are delighted at being able to speak German with our children who have not lived in Germany even one day of their lives. When people in Pakistan hear that I am speaking only in Urdu with my kids, their reaction is always “why are you bothering? You don’t even live in Pakistan any more. Teach them English instead, it will be more helpful for them to advance in the world.” I realize that just because we are both bilingual native speakers and now multilingual parents, doesn’t mean our strategies have to be the same. We cater things to suit our particular languages. When people in Pakistan hear that I am speaking only in Urdu with my kids, their reaction is always “why are you bothering? 5.Learn each other’s native’s languages. Visit each other’s home countries regularly with the kids. I took the time to learn German and my husband took classes in Urdu. We both felt it was important to learn each other’s languages before we had kids, so that we could understand what the other was saying to them. We are still occasionally learning new words through our interaction with our kids. 6.Being multilingual parents and raising multilingual kids is probably our toughest challenge yet. 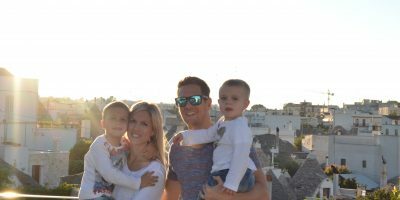 Being an expat family, and moving countries is the easy part. But ensuring that our children can speak our native tongues, while being open and learning the community’s language is definitely harder, but so worth the effort. We believe that for all of us, the best gift we have gotten from our expatriate lifestyle is the chance to learn a new foreign language first-hand. We hope our children will appreciate and take advantage of this gift too. Are you raising a bilingual or multilingual child? Why not subscribe to receive other related articles. Be sure to like our Bilingual Kidspot Facebook Page. Follow on Twitter, and join the private Bilingual Kidspot Discussion group! If you are interested in sharing your story please get in contact! I find this very instructive and encouraging. I speak Spanish my husband Russian , between us we speak German because we lived and met in Germany but then we moved to USA. We are expecting our first kid.We already encountered some discouraging or judgmental comments regarding this situation and how our kid will be behind or stuck at school. It worried me a lot, of course as parent you want the best but I also want them to be able to communicate with our families and learn their cultures. Is there any way to find a specialist working with families in this situation? Interesting! 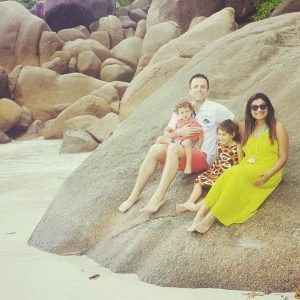 I am in the exact same situation with my family: I have been raised bilingually with French and German, my husband is American of Thai descent and has Thai and English as his mother tongues. He works as an attaché for the US Army and we are moving countries every 2 to 3 years. For now our daughter is 9 months old. I speak German only with her, she will go to French school and my mother speaks only French to her, my husband speaks only Thai and between the two of us we speak English. 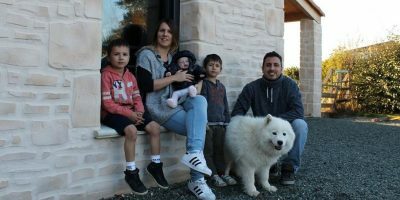 For now we live in Paris but in 2019 we will have to move to another country with most probably a new language…..We are very consistent and each of us is good at languages (we speak 6 each) so we are hoping our daughter will pick it up and have a little talent for languages, too! 🙂 Let’s see! Very interesting and inspiring article! Well done !! We are only a bilingual family at the moment although I´d love my children to learn a 3rd language someday!